Cattle usually settle when they can see and smell their calf. Have had 2 instances of cattle pushing into the cage and trying to get over top. Saving lives of both humans and calves is our main reason for building this tool. After being rolled end-over-end by an upset cow, we decided to prevent it from ever happening to us again. A product we hope will prevent a trip to the hospital. Saves calf by getting them to a proper nursery or warming hut. Hooks on by quick attach or 3-point. 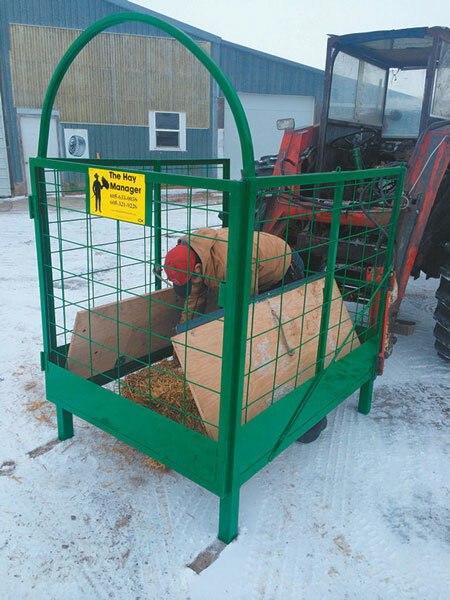 This life saver quick attaches to: loader, skid steer, or 3 point hitch just need to let us know. It is not designed to chase after a calf. This is used for a cold or sick calf that needs help and its mother is over protective and will not let you near the calf to help it. 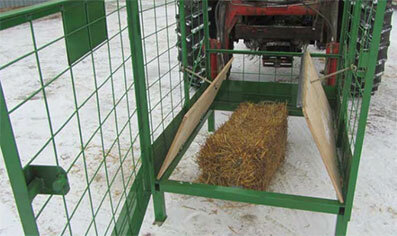 By setting the 4ft by 5ft box over the calf and stepping into the raised floor. Then by opening 2 false-hinged doors in the floor, the calf can be raised and put onto the larger door. The opposite door can be closed and you can work on the calf there or take it to a nursery or warming hut for additional care. An additional door on the front allows a calf to be released or removed to another location. This door can be released from the back of the cage by pull of a cable.